The sound of cicadas is punctuated by clinking glasses and the buzz of conversation. A light breeze cools the warm terrace. A glass of Champagne in hand, you watch as the sun slowly sets over the vineyards and hills. 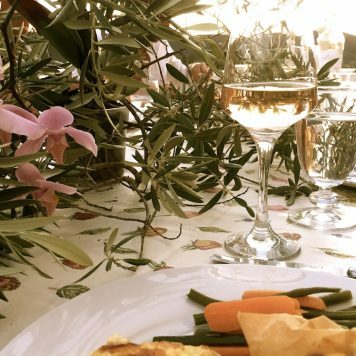 A celebration at Villa Tropez is something everyone should experience. More and more guests are making Villa Tropez their destination for celebrating that special milestone birthday or anniversary. It’s not hard to see why. The six-bedroom, five bathroom St Tropez villa allows up to 14 guests to gather together to celebrate. Its rustic accommodation, with Provençal touches, delights all ages. Each room opens onto a terrace with breathtaking views of the valley of St Tropez and Provençal villages. Shaded terraces large enough to entertain 14 or more guests provide the perfect setting in which to dine and celebrate. From the arbor shaded by vines by the pool to the grand terrace under starlight illuminating the vineyards, Villa Tropez guests can take their pick day or night where to hold their celebrations. Days can be spent lazing by the resort-style pool – which blends seamlessly into the tropical landscaped gardens and offers pool bar seating for that cheeky afternoon cocktail (why not, you’re on holiday) – or venturing out to the beach, hills or vineyards to enjoy a plethora of local activities and sightseeing opportunities. And of course fabulous restaurants and world-round beach bars abound. 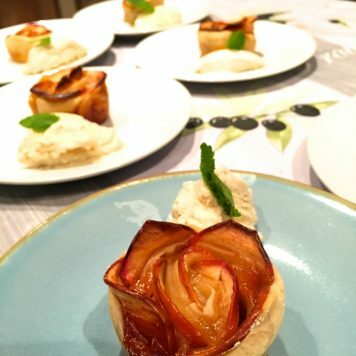 The large, modern kitchen offers plenty of space to prepare celebratory meals and parties, or the option for local caterers to come in to cater for your special event. 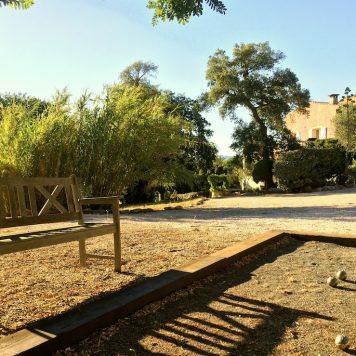 In addition to the pool, a games area with Petanque and table tennis table, as well as Sky TV, cater to younger – and not so young – family members. There’s plenty of chill-out areas for the kids to escape from the adults, and for other family members to find privacy should they desire it. For those wanting to keep up their fitness while they’re away, a pavilion for yoga and gym workouts awaits. And should any of the party need to work during their stay, the villa offers a study area, with wireless broadband internet connection throughout the Villa and Apartment, meaning no one need miss out on the celebration. When spending quality time together or guests enjoying the space to do as they each please, Villa Tropez with its acre of spaciousness is the best rustic luxury villa in St Tropez to get together for a family celebration. So what are you waiting for? If you’ve got a special milestone coming up, we’d love to help you plan the perfect holiday to celebrate. Simply give us a call, or drop us an email.